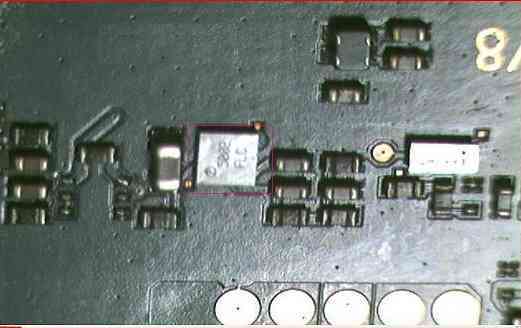 Handsfree problem on Nokia 5200 or Nokia 5300 usually caused by damaged a small IC that shown by the picture below, it is a microphone driver. If you find the handsfree problem on Nokia 5200, you can try to re-heat this part, if not successful, you can try to change it with a good part. Here is the IC location.